Students appreciate having a variety of learning environments to fit different needs at different times. 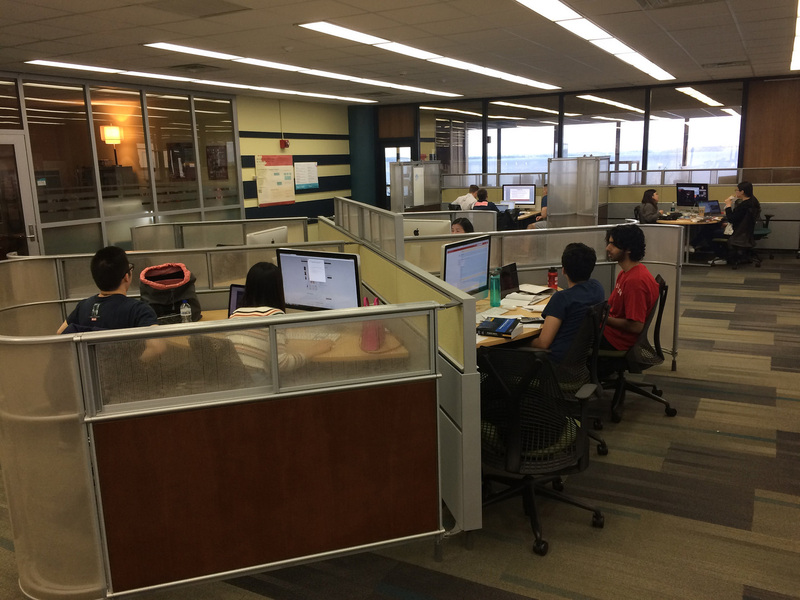 At College Library, the library with primary services to undergraduates at the University of Wisconsin-Madison, we offer spaces for both quiet and collaborative work. This objective is not especially new, but the way our spaces are designed to meet the variety of students’ needs has evolved considerably over the years. One used to think that study style depended on the person. That is, some people prefer to study in a very quiet space and others need to have some level of noise around them to concentrate. Surveys we have done in College Library point to a broader understanding: students also need different environments depending on the specific project they are working on. We learned that some students move in and out of various spaces within the library during the day or evening as they move from one type of homework to another. Recent instructional initiatives at UW-Madison have resulted in a major remodeling of College Library spaces, and the libraries have become campus partners in the provision of collaborative classroom space. 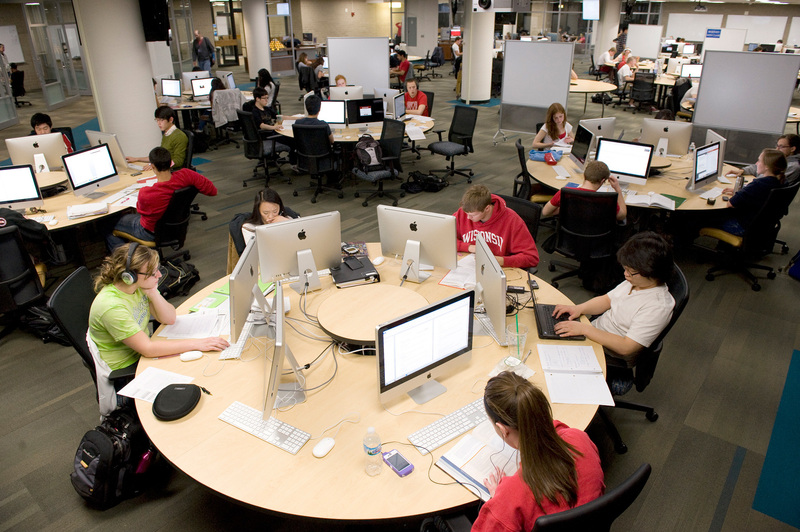 The Wisconsin Collaboratory for Enhanced Learning (WisCEL) Center, which opened in 2012, is located in College Library and is an active learning space that supports innovative pedagogical approaches to teaching. The design was done in conjunction with the library to ensure that the space not only met the instructional needs of active learning classes, but also the student use of the space in the evenings for study. The collaborative nature of the classroom environment, notably with circular tables for students to work together, also allows for collaborative studying outside of class. The design of the WisCEL Center allows for collaborative learning during class time (left), as well as individual study during the evening (right). Photos © Greg Anderson Photography. Our Media Studios and DesignLab, featured in a previous Demco Ideas + Inspiration blog post, were also part of a major redesign of the library’s computer lab. The spaces were designed to meet instructional needs with a studio-style digital media classroom and areas where consultants can provide one-on-one support for digital projects. These spaces also provide students new options in the computer lab for group work at computers. The computer lab’s software training classroom was also recently remodeled to provide both support for group work in classes and a group study area at all other hours the library is open. 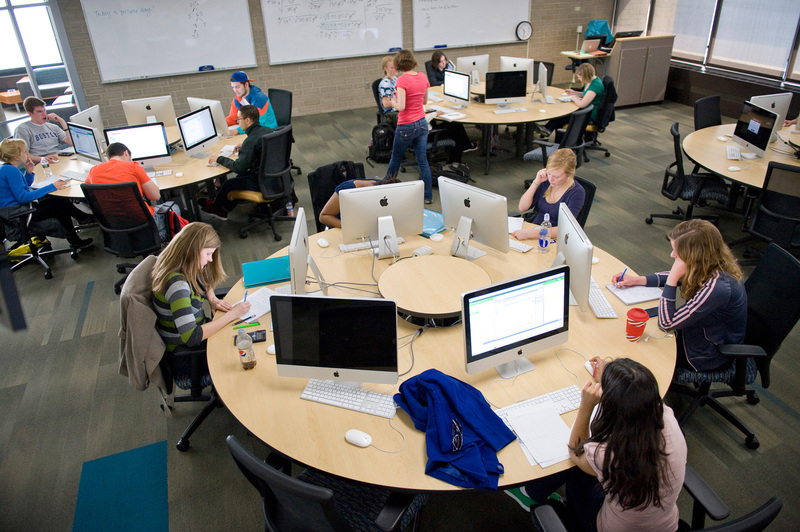 This suite of services and spaces within the computer lab provides an adjacency of support for digital projects and a variety of ways for students to work at computers, either alone or in collaboration. 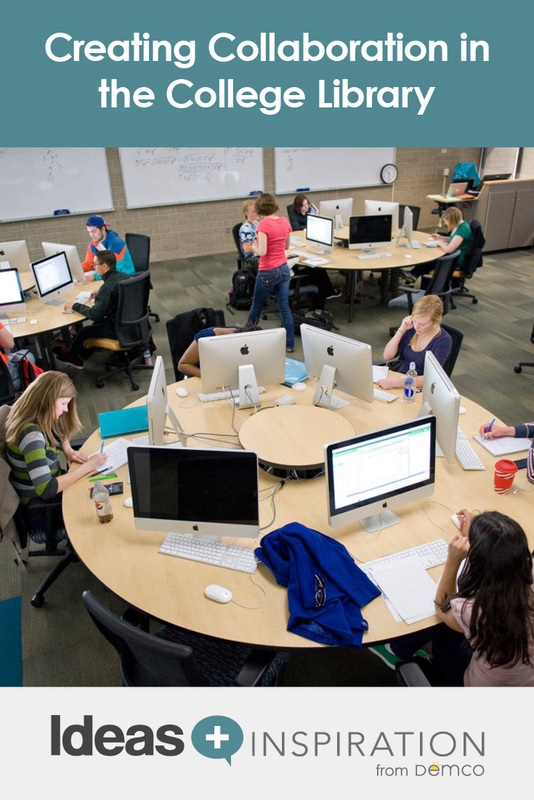 Students use the DesignLab for one-on-one work as well as study space. Photo © Carrie Kruse. The new software training classroom in the computer lab provides collaborative work spaces. Photo © Dave Luke. Because the provision of learning spaces is a major service UW-Madison’s College Library provides, we closely follow library and educational trends related to collaborative learning. Two major resources for research and articles are the Learning Spaces Collaboratory (LSC) Guide and Educause resource topics on learning environments. Visit College Library online to find more information about our learning spaces. Carrie Kruse is the Director of College Library, User Experience and Library Spaces for the University of Wisconsin-Madison Libraries. College Library includes a café, innovative digital media and active learning classroom spaces, a large computer lab, 24-hour service, and browsing collections serving introductory research needs across all disciplines. Carrie is active in a variety of areas including undergraduate education, information literacy, multimedia tutorials, electronic reserves, copyright, “library as place,” diversity initiatives and Women’s Studies. Carrie received her MLS from UW-Madison and holds a BA in English from Earlham College.